This intriguing object was found by Anne and Grant Nicoll on the stony beach at Loch na Mola, Ardvar (NC1735) on 21st August 2017. 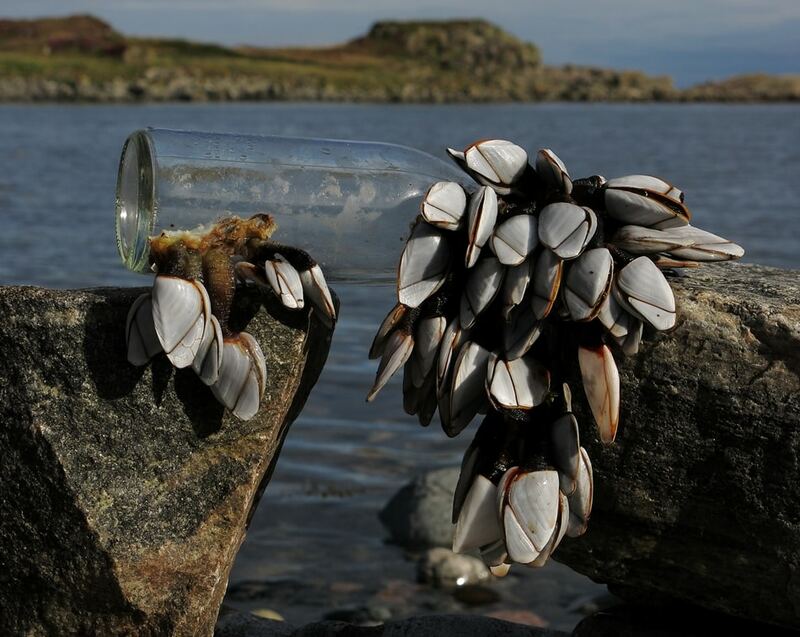 It is a small screw-capped glass bottle with two attached clusters of goose barnacles Lepas anatifera, which have grown to maturity whilst it was floating in The Minch (or perhaps even further afield). 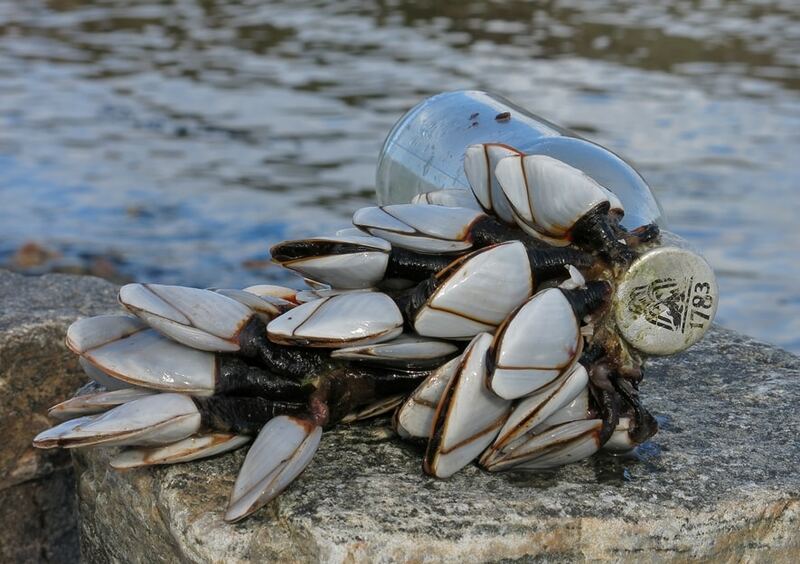 Goose barnacles are crustaceans that start life as mobile planktonic larvae, which settle down and change into the sessile adult when they find a floating object, often driftwood. 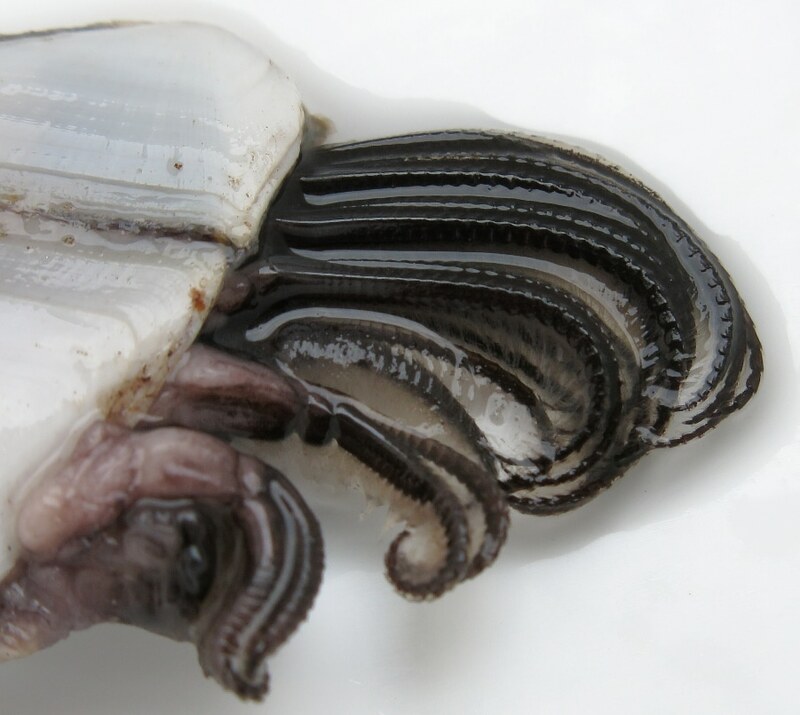 A rubbery stalk with cement glands allows them to attach to such objects and inside the five hard external plates are feathery limbs with which they gather food from the water around them. 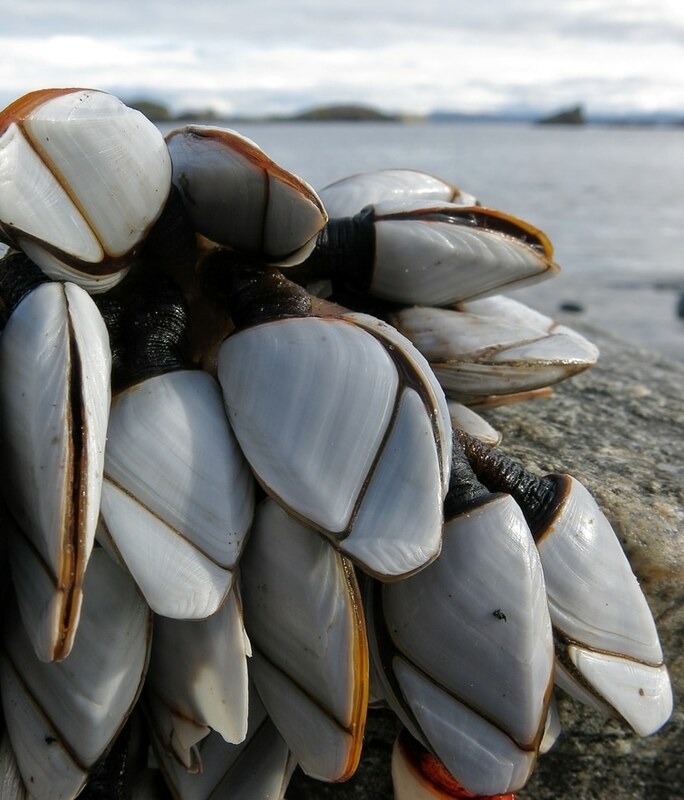 Several species of goose barnacles are found in British waters and there are excellent pictures of them in The Essential Guide to Beachcombing and the Strandline (Trewhella and Hatcher, 2015), which was used to identify these. They get their name from a medieval myth that they originally grew on trees and metamorphosed into barnacle geese! For the record the bottle has a logo on its cap incorporating a fountain and date (1783), which identifies it as having contained a beverage made by Schweppes. The Schweppes story began in Geneva when, in 1783, Jacob Schweppe was able to start producing carbonated beverages on a commercial scale. The ‘Schweppes fountain’ trade mark dates back to The Great Exhibition of 1851, held at the Crystal Palace, London. The centrepiece of the exhibition was a huge, 4 ton, 27 foot tall crystal fountain which was designed to represent the ‘fountain of youth’ and had a sparkling flow of Schweppes Malvern Soda Water.